A premium load offering extreme performance based on one of the most time-tested cartridges in history. 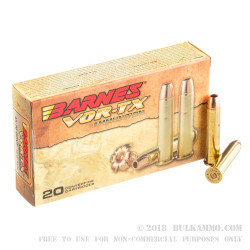 This Barnes VOR-TX .45-70 ammo is a great hunting round with impressive velocity and energy on target. The TSX projectile offers amazing weight retention and double the diameter expansion. The Barnes TSX offers a four petal design that presents well in large game, with a massive wound channel and a heavy peeling effect. 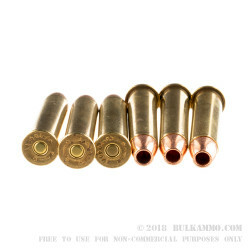 The accuracy of this ammunition is exceptional due to the design of the bullet, and the terminal performance of the load is very high due to the component selection and engineering. Suitable for the largest game in North America, the .45-70 has for many years been proven reliable at humanely dispatching large game. 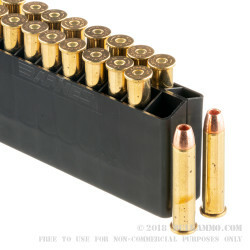 This load offers 1925 feet per second muzzle velocity and a devastating 2415 ft. lbs. of energy at bore exit, meaning you can exercise complete confidence in your shot on target. 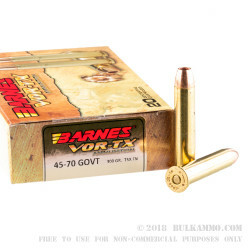 This combined accuracy, hard hitting performance and impressive build quality delivers an impeccable cartridge and a hard to match experience with the famous .45-70 Government round. This is suitable for use in only modern rifles with this chambering. This is a smokeless powder cartridge and it not suitable in black powder firearms.